For additional information about this book, visit the website www.geneervin.com. Forgive Me, Father, I Am Sin proves that some fates are worse than death. Emma Platt, PhD in Paranormal Psychology, has spent her entire career attempting to prove the existence of vampires. A mockery of the medical community, she has never found even the slightest hint of credible evidence until the mysterious circumstances surrounding a student’s suicide lead her to untold horrors. With the help of LA Detective Michael Collins, a three-time rejected FBI applicant, Emma steps into a world she had begun to believe existed only in her imagination: A world where a woman not of this realm is trapped by the burning light. A world where a house on Mayberry Street protects at any cost the two small children stuck in endless time within its walls. A world that finally holds the answers to what is real and what is myth—what ascends a soul to heaven or drags it to hell. Gene Ervin is a graduate of Portland State University and resides in Austin, Texas. He has placed twice in the top percent of the Austin Film Festival’s Screenplay Competition, with Ward of the State and One. 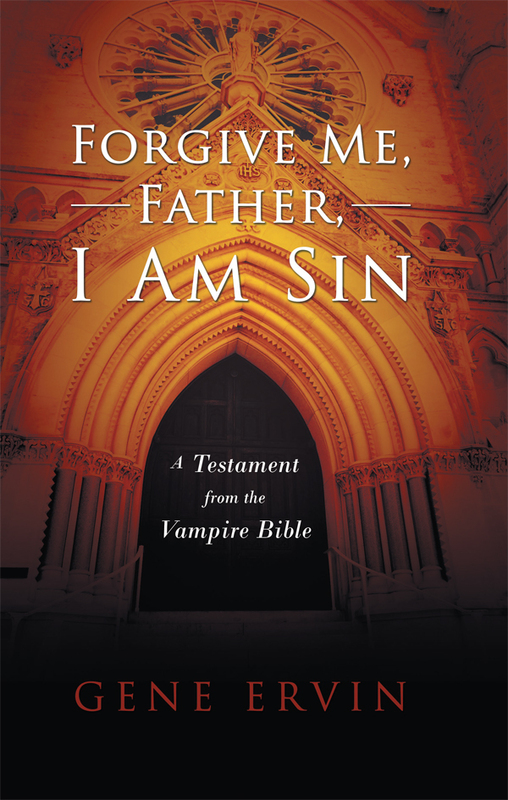 Forgive Me, Father, I Am Sin is his first novel.